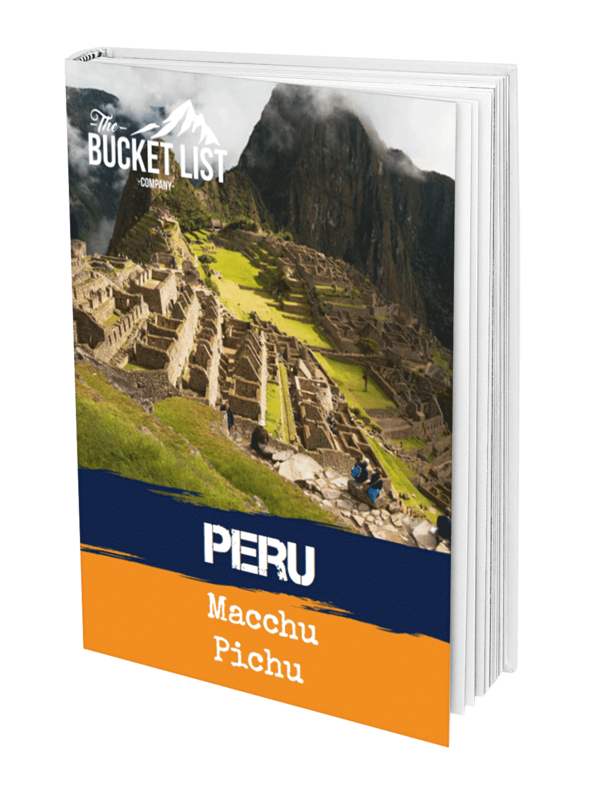 Simply Enter your details to download our free guide to Machu Picchu! Longyearbyen, on the Norwegian island of Svalbard, is the perfect place to spend a week in the depths of winter. This town close to the North Pole might seem quaint, but it offers adventures of a lifetime to those looking for a unique winter experience. On our dog sledding trips in Svalbard, you will learn how to care for huskies and enjoy the stunning wilderness while husky sledding in the North Pole. Over the week, you will form close bonds with your huskies and learn what it’s like to live at the very extremes of the Earth. You may be please to know that you will be able to experience this lifestyle whilst still enjoying the luxury of delicious local delicacies and comfy accommodation. As locals often proudly say, “in Longyearbyen, the North Pole is right around the corner from the pub.” From exploring the town to spotting polar bears in their natural habitat, this is a truly unforgettable winter escape. Upon arrival in Longyearbyen, we transfer to Basecamp Hotel in the city. At 5 pm our guide will pick you up in the reception at your hotel. It is time for the Frozen Adventure! After a lesson in snowmobile driving, you will drive through the vast valleys and past the white mountains towards the frozen fjord. After a short drive we arrive to our destination, North Pole Camp. Dinner is served after settling in, we spend the night in a heated tent with warm sleeping bags. You will take turns in polar bear watch during the night. After a breakfast, it is time to head into the beautiful landscape of Svalbard. Today you will explore more of the nature around Spitsbergen. We continue our route towards Tempelfjorden, continuing to the East Coast. In this area we can see the polar bear passing by or hunting for seal on the ice. We stop for an expedition lunch on the way, enjoying the arctic silence around us together with the vast white landscape. Back in the hotel in the afternoon, check in and dinner on your own. Your guide will pick you up at your hotel at 10 am. You will get a briefing before packing the personal items and heading towards the Trappers Station in Bolterdalen. Here you will meet all our 90 happy Alaskan Huskies eager to get going on the trip. The guide will show you how to harness the dogs and how to mush your own team. Everyone will take care of your own team with guidance from the guide. You will harness, feed and look after your own dogs. Then we head off in the white, open landscape towards Isfjord Radio. We make an expedition lunch in field. The first day is a long one, we try to mush approximately half way to Isfjord Radio where we put up camp for the night. After a long day, it is nice to sit down with a warm meal, share your experiences before going to sleep in the warm sleeping bag. Breakfast is enjoyed by both people and dogs before we pack the camp and head out into the white of nature again. The panting of the dogs and the scraping of the sled runners against the snow is the only thing that break the complete silence. Dog sledging at Svalbard is an experience that touches your soul. Expedition lunch served in field. Today we will arrive Isfjord Radio, where the hosts welcome us and tell us more about the fascinating history of the station. The kitchen invites us to a 3-course dinner in the evening, tonight a comfortable bed is waiting. After a solid breakfast, we will go for a short dog sledge trip before we return to the station for a warm lunch. The hosts will give a guided tour around the station area. For the toughest ones, we encourage to a swim in the Arctic Ocean followed by warm sauna! 3-course dinner served in the evening, accommodation in double rooms at Isfjord Radio. After a substantial breakfast it is time to say goodbye to Isfjord Radio and spend the day with the dogs. We head back towards civilization and make a number of interesting stops along the way. If weather and snow conditions allow it, we make an alternative route back. Some areas may challenge you, but the trip will give you a fantastic experience of the nature at Spitsbergen. After a long day dogsledding we make camp, feed the dogs and make dinner for ourselves. In the evening, it is nice to crawl down in a warm sleeping bag for a good night sleep. Today we head back to Longyearbyen, enjoy the final day dogsledding. During the afternoon we arrive back at Trappers Station, harness the dogs and thank them for the trip. We gather at Basecamp Hotel for debriefing and aftermushing, guide will take care of transport back to your hotel. In the evening celebrate your expedition at the gourmet restaurant of Huset with a 5 course dinner. Depending on your flight schedule; time to walk around in Longyearbyen before your transfer to the airport. No experience is necessary for this dog sledding trip – although liking the cold would be an advantage! It will leave on the date advertised (unless it is beyond our control, for example, the airline changes something). or 22 payments at £238.64Book today! Interested in finding out more about our Dog Sledding – Svalbard adventure?